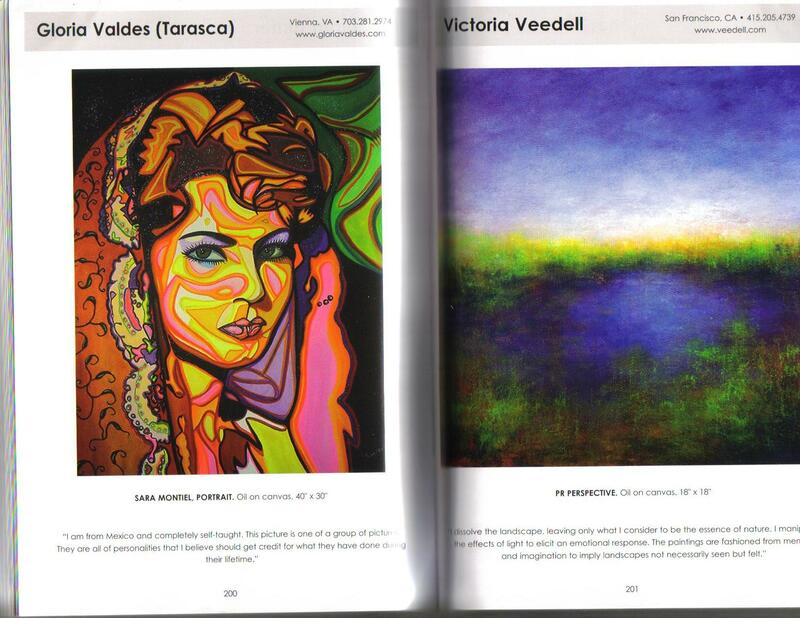 From an early age, Gloria Valdes, "Tarasca", realized she was different from the rest. Scolded by adults for her restlessness and inability to focus, she was often rejected by her playmates. Diagnosed as dyslexic and hyperactive, in addition to suffering from Osteogenesis Imperfecta - a bone disease impeding her movement. Gloria gradually quit the physical activities she enjoyed and took sole refuge in painting. Completely self-taught, Gloria began building her own fantasy world from which she receives, and puts back into her work, colors and shapes inspired by her ancestral people, the Tarascans, original inhabitants of Michoacán state, in western Mexico, where she was born, and for whom, and in their honor she has named herself. Her art, she says, is as much as expression of her personality as it is an opportunity for psychoanalysis. 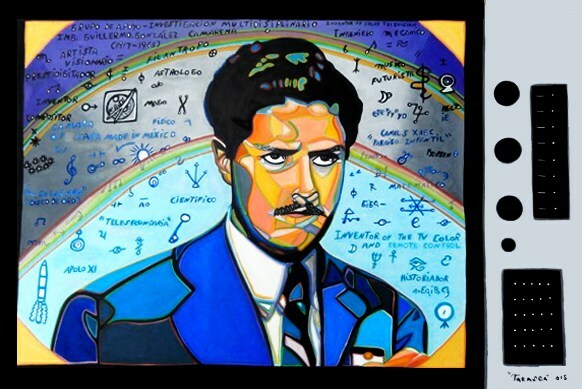 "Painting is a medium through which at once I become patient and psychoanalyst. One of the things that I enjoy the most is seeing an idea realized in a painting. Its the thrill of knowing that I can create something from nothing". "When Nature denies you the technique God provides you with infinite creativity..."
Immigration characterizes the principal theme of the pieces of art you are seeing. All these immigrants are part of America's social phenomenon. Even though they came from different countries and for various reasons, the end results were great mixed cultural, social, economic and technological contributions. Final thought: Always remember, our World is made of immigrants. Here you might be able to recognize, among others: Salvador Dalí, Elizabeth Taylor, Anthony Quinn, Katy Jurado, Albert Einstein & Carlos Santana and many more. Gloria currently lives in Vienna, VA, USA. I learned about Gloria Tarasca through Susan Williamson of the Carroll County Arts Council. Susan said "You've got to see this woman's work, you'll love it!". She was right. I did, indeed love it and am so delighted to be hosting Gloria's exhibit, Millennium at Carroll Community College through October 17th. The compelling aspect of Gloria's paintings is their true and authentic nature. By that I mean they are not pretentious but they are honest expressions of her world view and her experience. Some works sparkle with glitter like carnival masks, others evoke the shrine quality of milagros. Exotic Birds, a tall vertical, dense painting feels like Hieronimous Bosch in a tropical forest- obsessive and magical. Her tribute to Frida Kahlo and the Frog is a bold story on canvas and is executed with all of the tenderness and intensity that makes Gloria's works so grand. Not only did I fall in love with Gloria's work but I surely fell in love with the woman herself! She is a tiny, dynamo of a creature with an infectious enthusiasm for life- for everything around her. How could one not adore her? Gloria Tarasca is a Goddess! Maggie Ball, Director of Art. Carroll Community College. 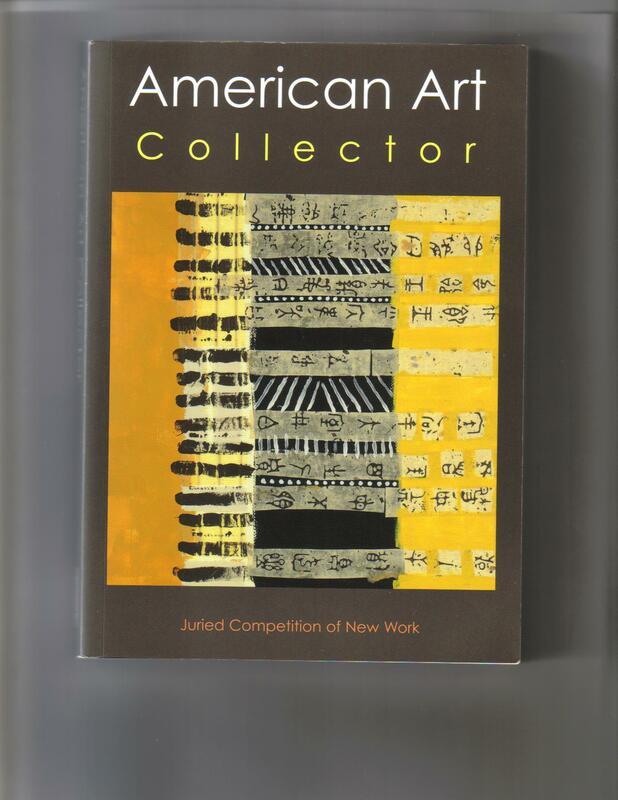 American Art Collector, Juried Competition of New York, Alcove Books, 2009 Edition, p. 200.